From the nineteenth century’s pamphlets to the twentieth century’s TV ad revolution, our elections have always been shaped by how we communicate and consume information. There’s no question that the Internet is set to deliver more political information, opinion and news than any other medium throughout the 2012 U.S. elections. The web offers candidate and issue info to voters; networking and fundraising platforms for campaigns; and research and productivity tools for journalists. 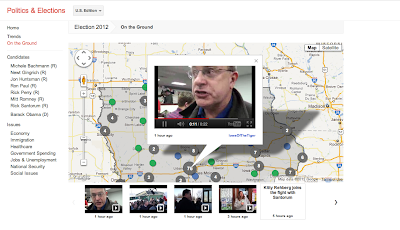 Today, just in time for the Iowa Caucuses, we’re launching google.com/elections, an election hub where citizens can study, watch, discuss, learn about, participate in and perhaps even make an impact on the digital campaign trail as it blazes forward to Tuesday, November 6, 2012. 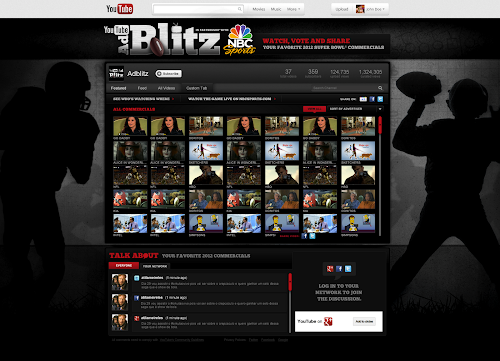 The site enables voters, journalists and campaigns to quickly sort through election info by popularity, race or issues. People can also check out the Trends Dashboard to take the web’s real-time political pulse by comparing candidates’ YouTube video views, search traffic and Google News mentions. Campaign staffers, advocates and everyday citizens can utilize our tools and features to reach, engage and inspire voters. There are a lot of miles to cover and coffee to be consumed before Election Day. We hope you’ll make Google.com/elections one of your regular online stops along the way.